The NDA government led by Mr. Narendra Modi is keen on providing very welfare schemes and plans for the poor people all across the nation. On full filling that motive, there has been several schemes that especially launched with the intention of providing benefits for the poor or the families who are belongs to the below poverty line. 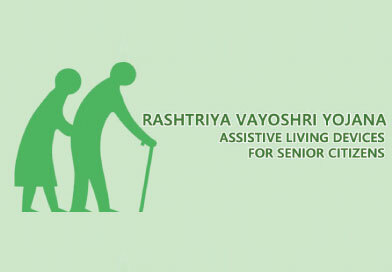 As the latest addition to that list, the central government which runs by the NDA party recently announced about introducing “Rashtriya Vayoshri Yojana” which is a special scheme that offers valuable benefits to the senior citizens particularly the senior citizens from the poor families of the nation. With the intention of the making aged-friendly society in the nation, this welfare scheme was introduced and about to be launched very soon. The scheme is set to deliver the necessary devices that are valuable on assisting the aged people. In order to be eligible for availing benefits from this special senior citizen welfare scheme from the government, the respective applicant must be at least 60 years old. And also the relevant applicant should be from the poor family or from the family which falls below the poverty line set by the governments of India. Though, the scheme is set to assist the senior citizens from the poor family or from the family which falls below the poverty line category can avail benefits. As per the information gathered from the official sources the scheme is about to be launched in next few days and special camps will be arranged by the government for the poor aged people to avail benefits from this welfare scheme. As per the scheme terms, the older people from the poor family are no need to be depended on other for their living, especially when it comes to assistance. In order to implement this scheme in large level, the central government has sanctioned more than 450 Crore amount for this welfare scheme. This welfare scheme for aged people was initially set to be launched earlier this year, but due to the state assembly elections the launching date gets postponed by the government of India. With the budget amount of more than 450 Cr being allocated to this welfare scheme, old aged eligible people can able to get lot of personal assistance devices at free of cost. The scheme is about to be launched in the state of Madhya Pradesh where special camps are going to be conducted by the officials in the Ujjain districts. This welfare scheme for the older peoples from poor family is expected to be launched by the Union Social Justice and Empowerment Minister and the Information and Broadcasting Minister of central government of India. On the upcoming camps in Madhya Pradesh and Andhra Pradesh state, the government aimed to offer free assistance devices to the 2000 numbers eligible aged people in each camp. The scheme is set to be launched in the Nellore district of Andhra Pradesh on coming 25th of March 2017, followed by the second camp planned to be conducted in the Ujjain district of Madhya Pradesh on 26th of March 2017. As the government allocated sufficient amount of the funds for this welfare scheme, the officials confirmed that the devices provided under this welfare scheme will be in best quality and it will be sufficient enough to distribute all beneficiaries. After completing these initial camps, under this scheme special camps will be conducted in two districts of every state each year in order to offer free assistance devices for eligible aged people. As this welfare scheme mainly focusing on assisting the old age people from the poor category, the eligible people from such category would be able to get free assistance devices from government without depending others.